Today is election day, and I am totally afraid to predict what might happen. That’s both the result of the election, or what the reaction might be. I wouldn’t be surprised by anything that might happen. Will someone hack into the voting machines and throw a few elections? We know it could be done. Will there be violence? Duh, we’ve already had violence. Will young people finally realize that they need to vote? That looks promising. The only thing I’m sure of is that America will become even more divided. If you pause it at 1:18 you can see him voting for Lily Tomlin over Lucille Ball, Bob Hope, and Carol Burnett for the important post of Minister of Comic Relief. Don’t blink or you’ll miss it. And be sure to vote. Do you have 40 seconds to spare for your favorite CRM blog? 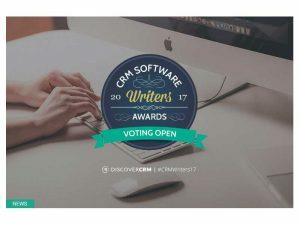 Voting for Discover CRM’s CRM Writers’ Awards 2017 is closing on April 23! We are super excited to have been nominated under the Best Vendor Blog category. If you have found value in the wise words of good ol’ Joe CRM through PowerObjects’ daily blog, please vote for us! There are four categories to vote for and the PowerObjects blog is listed in the first category. Simply choose your favorite entry in each category, and click submit. Discover CRM has also included links to work by all of the nominated entries to help you decide who to vote for in categories where you may not be familiar. Winners will be decided by a mixture of judges’ decision and public voting. Voting closes on Sunday, April 23. Winners to be announced on Monday, April 24. Gold, silver and bronze prizes are available in each category. Discover CRM started this competition to “recognize the brightest, most switched on bloggers, writers and journalists working in the CRM industry.” The four categories that this year’s awards cover include, Best vendor blog (that’s us!! ), Best independent blog, Best writer, and Best article. Thank you for being part of the PowerObjects family. We love writing for you! 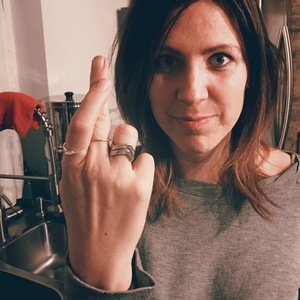 Should Social Marketing Still Get Your Vote? My point of view to this important question is an emphatic “NO*.” But please, indulge me for a couple of minutes as I explain that little asterisk I put next to my answer. First, let me start by saying that I get social. I was in a variety of product and marketing leadership roles from 2007-2016 for a leading company in the “social business” space, Jive Software. I was helping marketers adapt when the fundamental shift in consumer habits occurred – i.e., when the percentage of Americans who turned to social to get their news (vs. traditional news outlets) doubled between 2010 and 2012 (Pew Research Center). I read analyst reports, such as Gartner’s CMO Spend Survey 2015–16, which showed that 65% of CMOs rank social marketing as a top-five area of technology investment. Also, I understand and am very familiar the many GREAT social listening, publishing and engagement tools on the market today. At this point, you might be scratching your head a bit; my “No” point of view coupled with my “Yes” context seems rather opposing. However, these two views are in fact not oppositional. Here’s why: As simply as I can state it, I believe the majority of CMOs are wasting time, money, and effort focusing on ROI metrics like retweets, shares, followers, and likes for their social marketing efforts. Marketing’s top concern should be creating sustainable growth. There’s no doubt a critical aspect of driving sustainable growth is building brand awareness, and social engagement and marketing efforts can indeed help here. However, generating real demand (qualified leads and opportunities for sales), along with expanding customer lifetime value is ultimately the bottom line that marketing and CMOs get graded on. This intersection – or lack thereof – between social campaigns and metrics with key marketing goals around growth is, in my mind, where the crux of the problem lies and is why social marketing doesn’t get my blind faith and vote in today’s world. I believe Michelle Moorehead, Forrester’s Research VP serving CMOs, had it right in her blog post at the end of 2015 when she highlighted that “2016 marks the year that the CMO will take control of the customer experience — or risk facing significant coordination challenges (and potential headaches) with some other fledgling executive who sees the opportunity to own it.” She also discussed how customer expectations around personalization will continue to grow. There’s no doubt both of these points are spot on and they also both go perfectly together. While marketers need to take control of the customer experience with engagement that is laser-focused on areas that customers are most interested in, in order to increase conversion rates and ultimately customers, the marketer must fulfill the customers’ expectation of more personalized communications. Here’s the failure point though – all of that investment in social is not driving more personalized engagement, it’s not providing the nurturing that buyers want and that would increase conversion rates. In 2009–2013 throwing money into social with a soft (or no) ROI was acceptable. Those were the rose-colored-glasses days where almost any money spent on social just felt right and wasn’t questioned much. Marketing budgets got bigger and the average CMO tenure was getting longer every year. However, by the end of 2013, CEOs started asking the hard questions around the ROI of social marketing. It didn’t surprise me, then, to see that the average tenure for CMOs dropped in 2015 for the first time in a decade (as reported in the Wall Street Journal back in March 2016). I believe part of these CMO changes had to do with too many marketers continuing to invest in social marketing without connecting those efforts to marketing’s key goals. First and foremost, no matter what social media tool you’re using today – if it’s disconnected from your marketing automation system, you are blocked from leveraging social interactions as part of your scoring, segmentation and, ultimately, your nurturing tactics. I understand not everyone has a marketing automation system today, but I use that as an example of whatever system is in use to further nurture prospective and existing customers. Social marketing efforts mean so much more if they are truly connected and driving follow up engagement and nurture efforts further on in the buying cycle. Once you’ve got the social side connected to the marketing automation engine that’s driving your nurturing efforts and keeping score, you can now focus on reports coming from one place that properly attribute leads and opportunities to not only a webcast or email campaign, but also click-throughs from a tweet or a post on LinkedIn. Then you can measure social marketing efforts on par with all of your other campaigns. CMOs need to be of the mindset that ambassadors are everywhere – whether inside the organization, such as sales team members; or outside the organization, such as your best customers and your channel or technology partners. Tapping into these ambassadors while keeping everything connected will only help further amplify brand awareness efforts, as well as drive more leads and opportunities (that will finally get attributed correctly, per #2 above). If a marketer can do all of the above, then social marketing most definitely should get the “YES” vote. I know I would change my vote to “YES,” as it would mean social marketing is leading to more of what customers want – more personalized engagement from companies around the products and services that they have an interest in further exploring. Contemplating the chances of underdog Bernie Sanders winning the presidential election against opponents who are lavishly funded by wealthy donors and Super-PACs, millions of Americans over the weekend wondered to themselves how their one vote for the Vermont Senator could possibly ever make a difference. Amid a crowd in Denver, Colorado, a lone individual stands, pondering the meaningless of her support for Bernie Sanders. “While I love Bernie Sanders and his willingness to fight for the rights of the little guy, I don’t see how my one, single vote could help him in any way win against those other candidates who are being heavily funded by billionaires and major corporations” reflected Frank Johnson of Canton, Ohio, precisely mirroring the thoughts of millions of people in cities and towns across the country. In a similar vein, Sarah Nelson of Dayton, Ohio, thought to herself as she hauled her household recycling bin to the curb, “I’d like to vote for Bernie since I really agree with him on the issues, but there just aren’t that many people who think like I do”. Nelson continued with her train of thought, pondering “How can one person make any real difference?”, a reflection she shared with millions of other Americans. Around the same time, pausing after tossing a piece of garbage into a trash can in a public park in Waterloo, Iowa, Mary Fitzgerald contemplated the issue of Sanders’ socialist label. “Knowing that to Bernie ‘socialism’ simply means giving everyone a fair chance instead of rigging the economy in favor of the super rich and Wall Street, I support his ideas. But hardly anyone else will be able to get past the ‘scary’ socialist label” thought Mary, echoing views of Sanders’ politics held by countless citizens from coast to coast. By evening time, every single one of what added up to millions of citizens silently pondered to themselves how sad it was their single vote would never matter enough to alter Sanders’ unelectable status. Before going to bed in her Hillsboro, Oregon apartment, Zoe Taylor, and innumerable other individuals pined, “I really wish I could vote for Bernie. 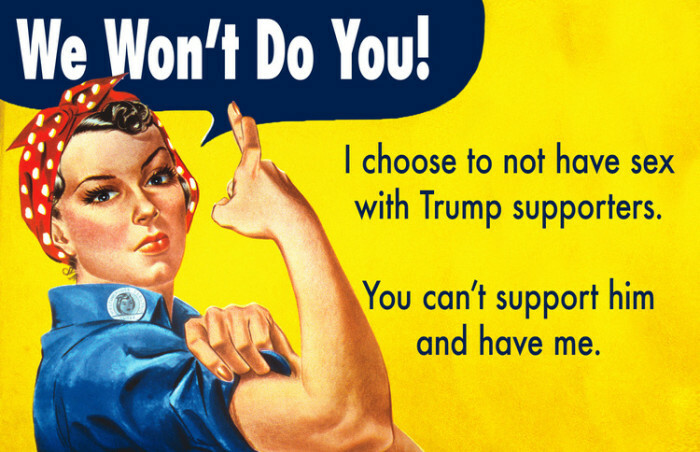 But I just can’t, given what I know about American voters – unlike me, they just won’t be able to get past the word socialism and hear his message of fairness, due to the avalanche of money his opponents will mobilize against him. That’s only being realistic”. In the meantime, according to the most recent reports, Bernie Sanders continued with his efforts to defend what some observers are calling “democracy”. The healthcare vertical has traction, as well. Recently, for example, Memorial Hermann hospital began using Google Glass on its UTHealth Mobile Stroke Unit, according to this article, to test its effectiveness at communicating medical information with colleagues at the hospital during 911 emergency calls involving possible stroke victims. And vendors such as Atheer Labs are looking to advance the use of smart glasses in fields including healthcare: With its Augmented interactive Reality (AiR) platform, an interactive gesture-controlled 3D platform consisting of the Atheer AiR Smart Glasses and Atheer AiR Android-based OS, clinicians in operating rooms or at bedside have quick access to medical records and vitals, and nurses can view medical data from a wide range of monitoring devices, on the go, the company says. Juniper says that Android will remain the dominant smart glasses operating system, but also points out that next year should see the release of the Samsung Gear Blink, which will bring the Tizen open-source operating system for all device areas into the arena. Samsung’s product, as well as other fresh releases of heads-up displays from companies such as Recon Instruments and Osterhaut Design Group in the next year or so, will help to boost overall sales, it expects, at least temporarily. It also points to patents filed by Google to make its smart glasses “less obviously technological,” via features that indicate placing the projection unit placed alongside the eye and behind the frame. The report doesn’t consider devices optimized for entertainment or media purposes, such as the Oculus Rift and Sony’s Morpheus headset as smart glasses. Rather, it considers them as multimedia wearables, a different category from smart glasses that make use of augmented reality (which Jupiter defines as a technology that is influenced by the physical world while displaying an output comprised of a combination of relevant digital data and that physical world), and heads-up device technology to display information and data, either generated in the device itself or from a connected computing device.